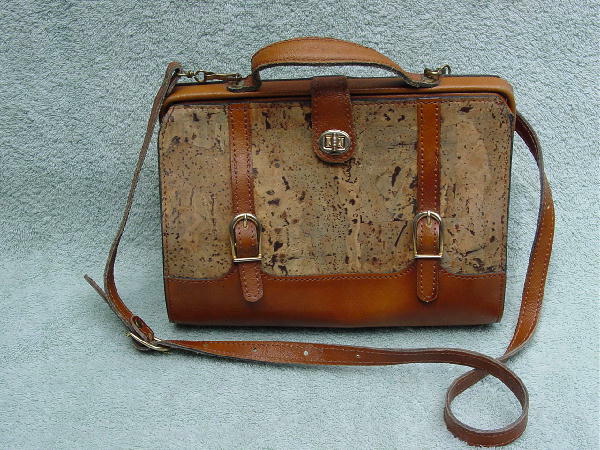 This vintage tan leather and cork purse has a manmade lining in light cocoa-tan and an interior zippered pocket. It has a modified doctor's bag styling, with a leather tab and gold-tone metal cylinder closure. 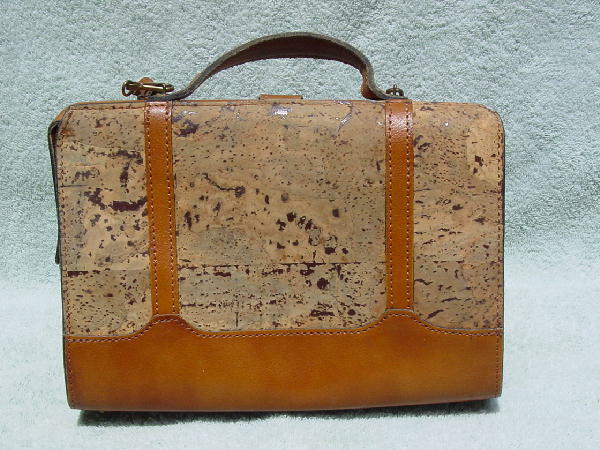 There is a 7" leather handle and a detachable 38" long leather shoulder strap. There are four little gold-tone feet at the bottom. There are a few ink marks on the lining. She said she hadn't used it for over a decade.